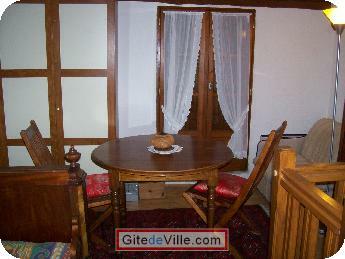 Vacation Rentals - Holiday Rental ads in the city of Manosque in France for Tourism. 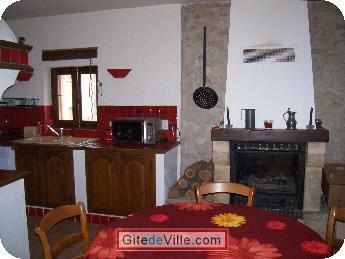 Self Catering Vacation Rental of 75 m² in Manosque for 4 peoples. Completely renovated house located in the historical center of Manosque : situated in a quiet pedestrian area, shops, cafés, restarants and the market (twice a week) are all within a few minutes walk. First floor : kitchen/living room with chimney, television and internet. Second floor : Bedroom with a double bed (160 x 200), storage space. Spacious bathroom with bathtub and shower. Separate toilets. 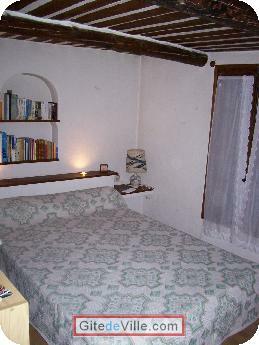 Third floor : Bedroom with a large bed (130), wardrubes, television. 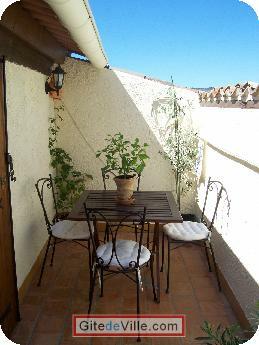 Access to the terrace with outdoor furniture. 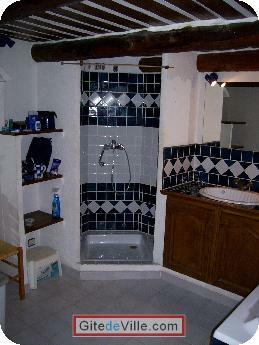 Equipement : washing machine, fridge, cooking facilities, microwave, coffee machine; toaster, two televisions. Electric heating (extra charge during the cold season). The house is the ideal place to stay for exploring the Verdon gorges, the régional parc of Luberon, the city of Aix-en-Provence... (regular buses link Manosque with Aix aind Marseille). Manosque can be reached by bus from Marseille airport in 1 hour. Last Ads update : 06/05/2014. 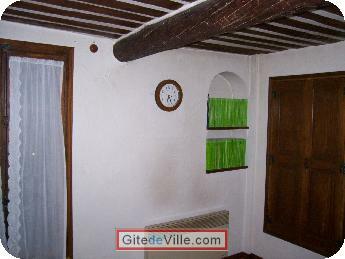 Owner of an urban accomodation or B&B to rent in Manosque ?